Southern Florida's spectacular Atlantic coast offers an ideal winter getaway, combining the celebrated coastline of Miami Beach - especially the uniquely preserved Art Deco architecture of South Beach - and a thriving cultural scene stretching from Miami to Ft. Lauderdale. We have carefully planned our itinerary to include a concert at the Frank Gehry 'New Campus' theatre conducted by Michael Tilson Thomas' New World Symphony, two concerts by the visiting Cleveland Orchestra including "A Gala Evening with Yo-Yo Ma". Florida's Sarasota Opera, now celebrating its fifty-eighth season, has established itself in recent years as one of our most imaginative and successful regional companies. The Mediterranean Revival Opera House remains an intimate and charming venue listed in our National Historic Registry as an authentic Florida Landmark. Our program will feature productions of Dialogues of the Carmelites, L'Italiana in Algeri, Madama Butterfly and Love of Three Kings. For the past twenty-one years, we have offered an annual visit to the prestigious Salzburg Easter Festival encompassing the complete four performance cycle of opera and concerts - Parsifal (featuring Nina Stemme), L'Italiana in Algeri, Eugene Onegin (Ballet) and Walküre and concerts by the Dresden Staatskapelle and Vienna Philharmonic. This year we are able to include an extraordinary fifth concert in Salzburg. Christian Thielemann will lead the visiting Vienna Philharmonic and a quartet of international soloists in a performance of Beethoven's Ninth Symphony ('Choral'). New York remains the mecca for discerning arts-travelers who recognize the rewards of live performances showcasing the world's leading singers. Our April program will feature performances of Eugene Onegin, Fidelio, Aida and a Carnegie Hall Mahler concert by the San Francisco Symphony under the direction of Michael Tilson Thomas. For our May Holiday we will attend the 50 Years Gala, a new production of Der Rosenkavalier, a performance of Der Fliegende Hollander conducted by Yannick Nézet-Séguin and a night at the NY City Ballet. Berlin's venerable Deutsche Oper has been widely hailed for its superlative production of Richard Wagner's complete four-opera cycle of Der Ring des Nibelungen. With the Scottish conductor Donald Runnicles in charge of an exceptional international cast, the Götz Friedrich staging will be unveiled again over a period of five nights. Our recent tours combining the Texas cultural capitals of Dallas and Houston have been rewarding experiences for our travelers, who have enjoyed major events at the Winspear Opera House and the Wortham Center. This year we are delighted to include a performance of Norma, a concert by the Dallas Symphony, Götterdammerung (featuring Christine Goerke), Abudction from the Seraglio and Alley Theatre's "View from the Bridge". In response to many requests, we are pleased to announce our long overdue return to Sicily for an eight-night exploration of the island's fabled antiquities and requisite combination of musical performances and Ancient Greek theatre. During the ideal spring weather of May, our dates will coincide with a performance of Richard Strauss' shattering Salome and Massenet's Werther. In the remarkably well preserved Greek Theatre of Siracusa, we will have the unusual experience of attending an Ancient Greek drama by Aeschylus - Seven Against Thebes. We will also enjoy Palermo's celebrate Opera dei Pupi, introducing us to the world-famous popular Sicilian tradition of marionette theatre. 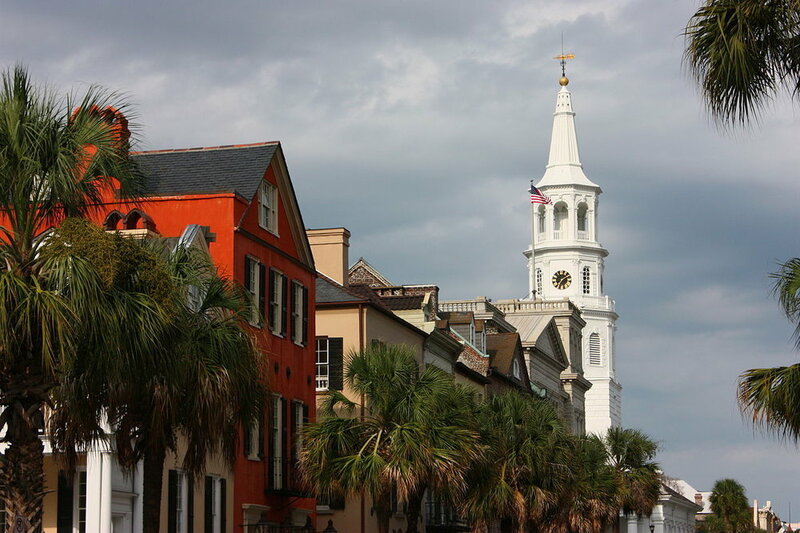 The Spoleto Festival in Charleston, South Carolina is widely recognized as the country's most comprehensive arts festival, and Charleston itself recent ranked for three consecutive years as Condé Nast's foremost destination in the country. To celebrate the 40th anniversary season of this remarkable event the Festival has announced a highly original season running the gamut of the performing arts. Our six performances will include a once-only "Celebration Concert" on our first night, Eugene Onegin, Vivaldi's seldom encountered Baroque opera, Farnace, Waiting for Godot at the Druid Theatre and two offerings from the famed Dock Street Chamber Music Concerts. In recent years our tours to Paris have consistently rewarded our travelers with a wide variety of imaginative operatic repertoire in the city's wealth row beautiful theatres. During the ideal weather of mid-June, our 2017 tour will encompass a total of six performances: four great operas (La Cenerentola, Rigoletto, Eugene Onegin and Carmen) as well as a recital by Anja Harteros and an evening of Ballet at the Champs-Elysées. For eighteen consecutive years, we have chosen an optimum spring week of the Vienna State Opera's season for our annual visit to Austria's vibrant music capital. Our 2017 program continues this tradition and coincides with the appearance of many of today's leading artists in their signature roles at the Staatsoper. The operas will be a pair of Verdi's most popular masterworks - Rigoletto and Don Carlo, Donizetti's L'elixir d'Amore, Strauss' Elektra and Debussy's French landmark, Paellas et Mélisande. Our annual summer tour to Northern Italy remains among our most popular offerings and is invariably sold out. For 2017, our program at the beginning of July will encompass two performances at Milan's La Scala (La Bohème & Abduction from Seraglio) and three evenings at the Verona Arena featuring Verdi's Aida, Rigoletto and Nabucco. In between these destinations we will enjoy a three day respite at Bellagio's Grand Hotel Villa Serbelloni on Lake Como. Wagner aficionados will be thrilled by the news that we are able to repeat last summer's exhilarating experience at Germany's famed Bayreuth Festival for four of Richard Wagner's towering music dramas - Tristan und Isolde (the well-received 2015 staging), Parsifal (the new 2016 staging which was our tour members' unanimous favorite), Die Meistersinger von Nürnberg (the eagerly anticipated new production for 2017) and Die Walküre (a chance to encounter the most lyrical segment of the current controversial 'Ring'). Our tour will being in Nürnberg, the location of the closest major airport to Bayreuth, allowing you to recover from jet lag before we transfer by bus to Bayreuth and the long operas.